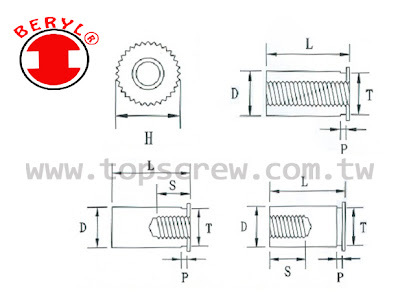 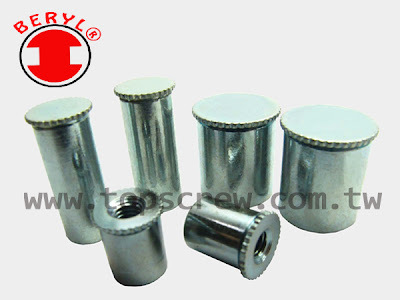 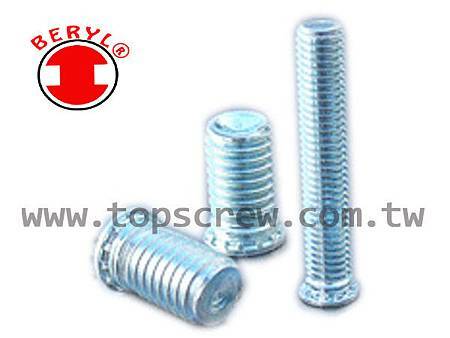 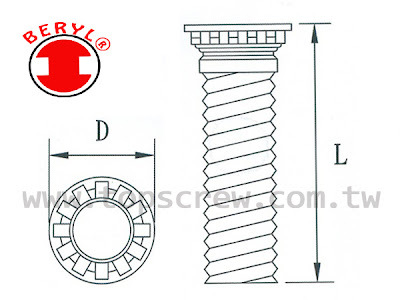 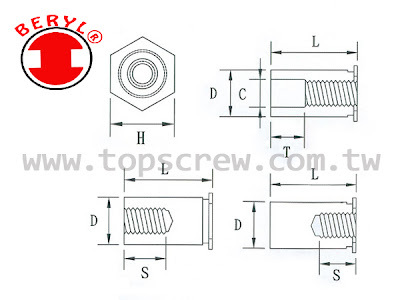 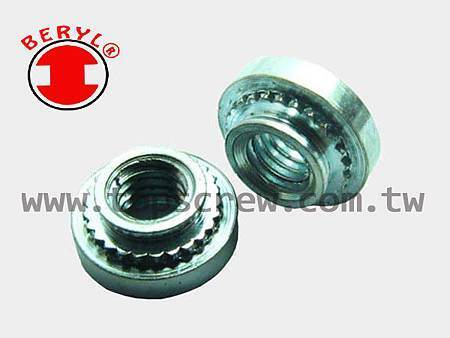 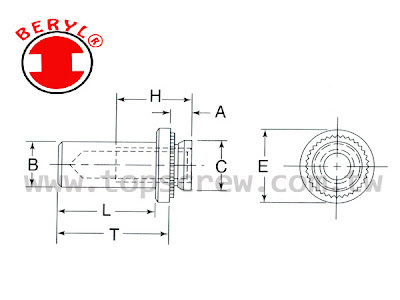 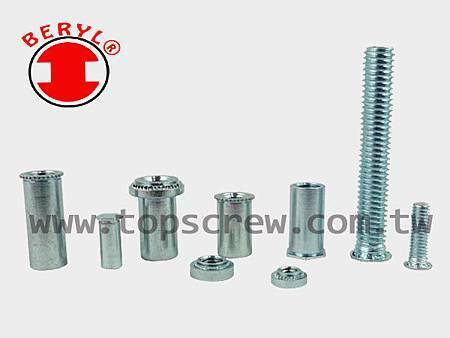 螺峯金屬工業股份有限公司 TOP SCREW METAL CORP.
* May be installed using any parallel acting squeezing force. 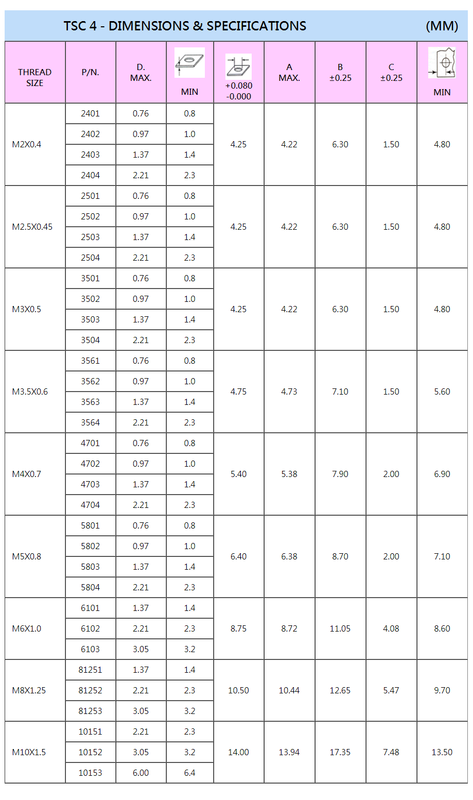 * Provide high pushout and torque-out resistance. * Do not require special hole preparation, such as chamfering and deburring. * Reverse side of metal sheet remains flush. 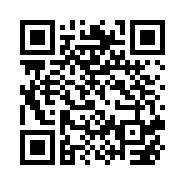 * No retapping necessary after application. 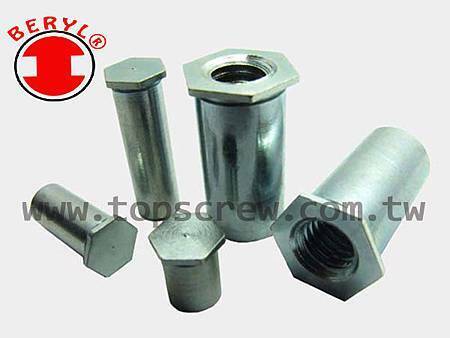 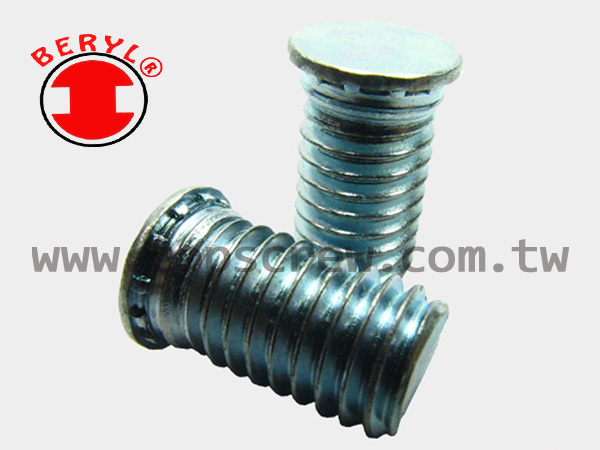 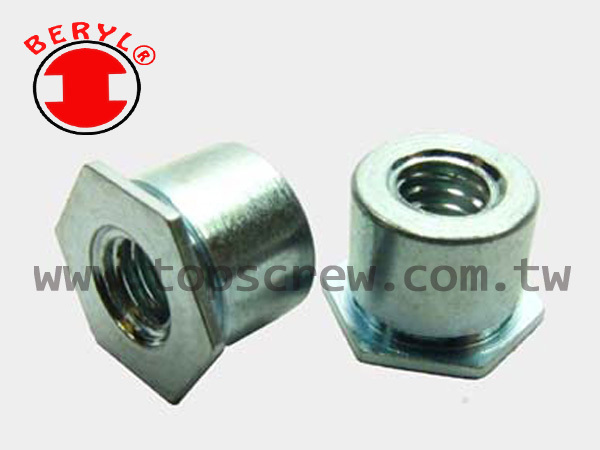 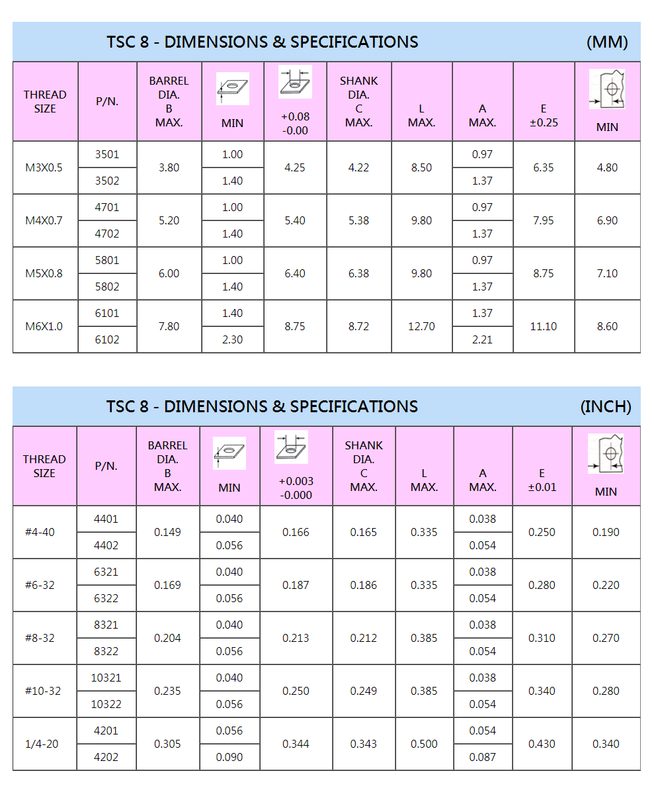 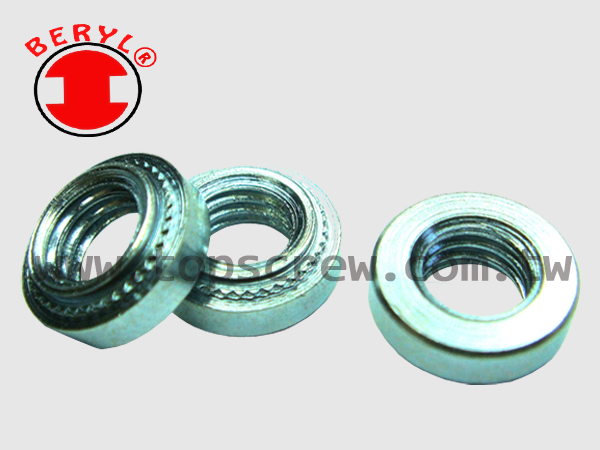 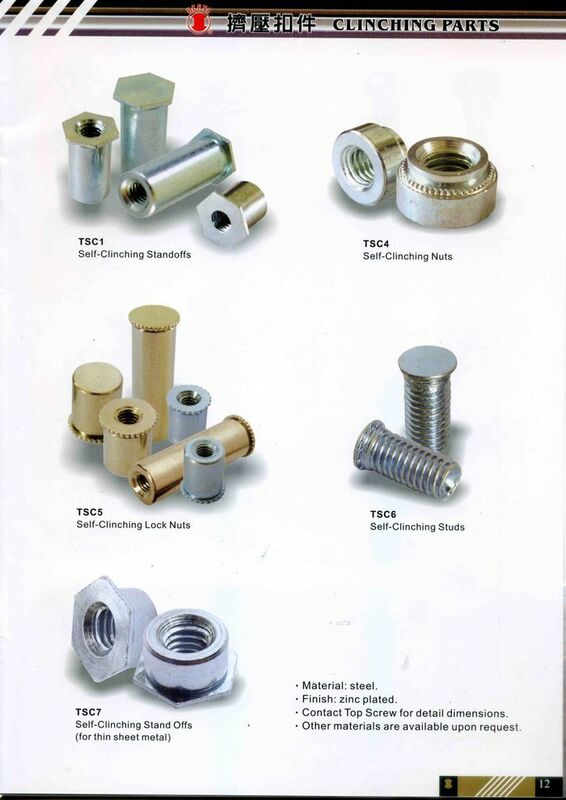 Nuts with thread strengths greater than mild steel screws are commonly used wherever strong internal threads are needed for component attachment of fabrication assembly. 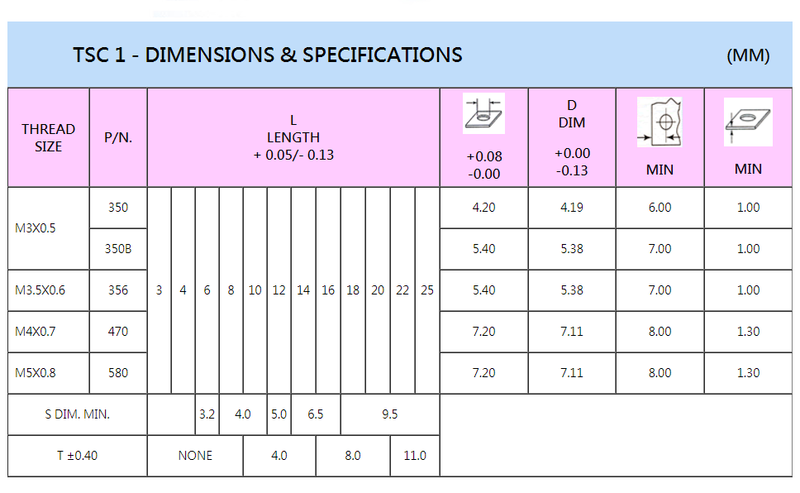 ★ Other sizes, material are available upon request. 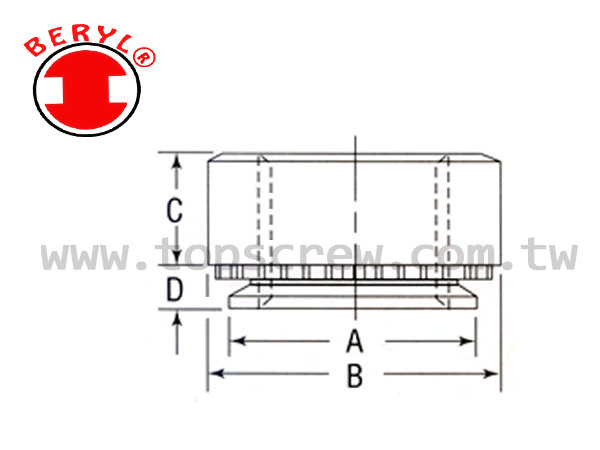 * Used where it is necessary to stack or space components away from the panel. 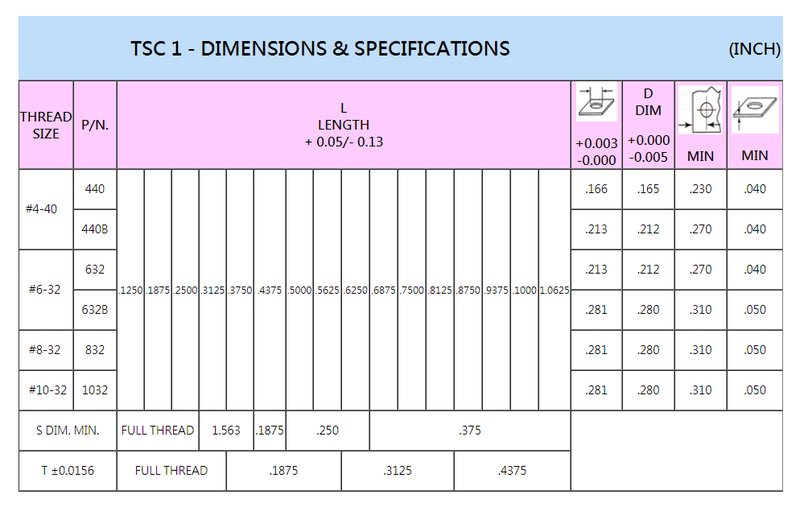 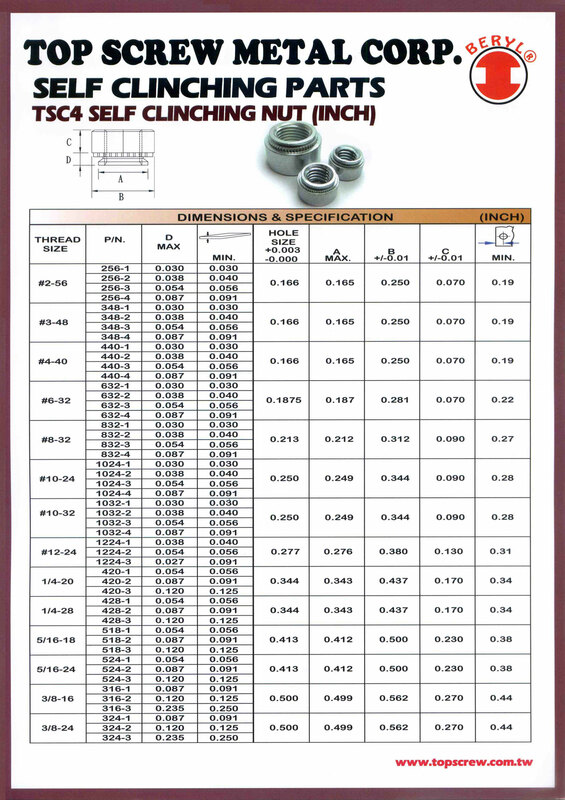 * Thru-threaded or blind types are generally standard. 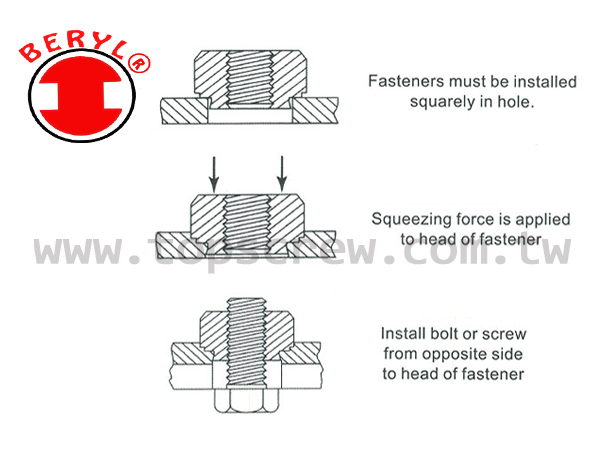 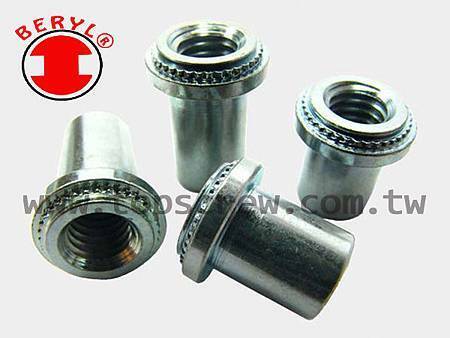 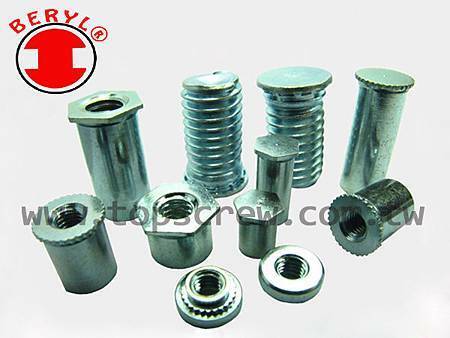 Externally threaded fasteners which are used where the attachment must be positioned before being fastened. * Nuts with thread strengths greater than mild steel screws are commonly used wherever strong internal. 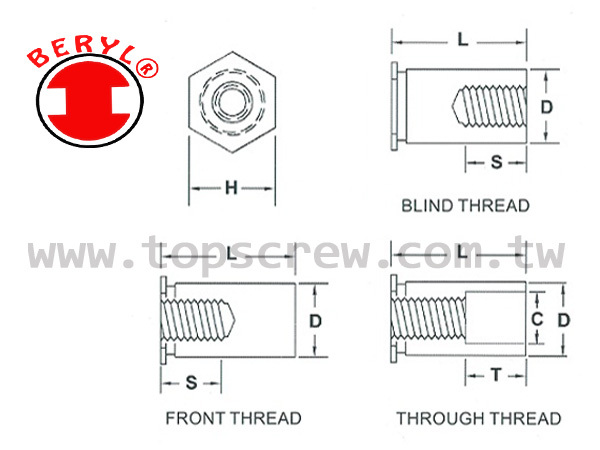 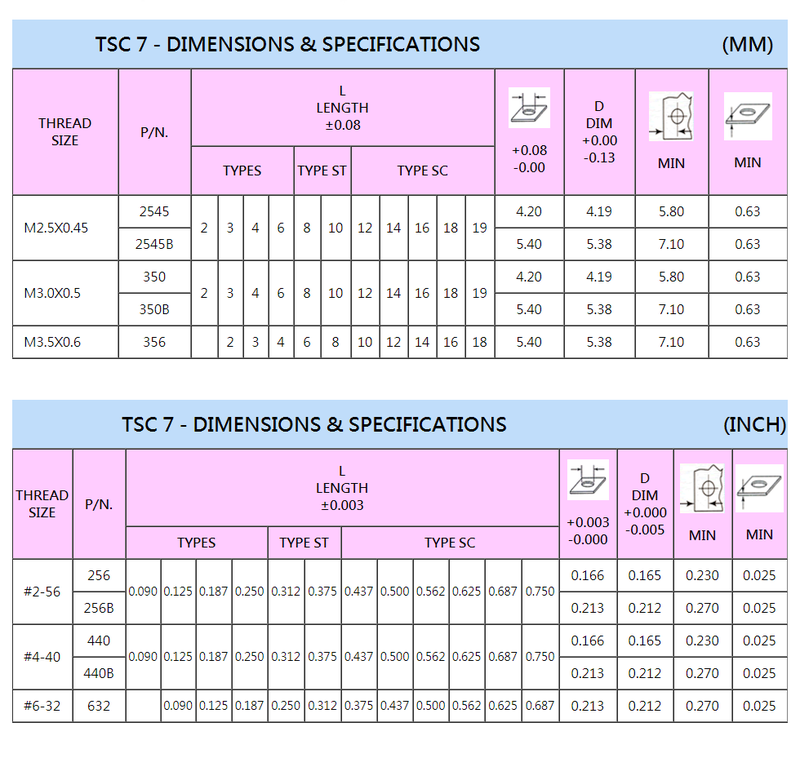 * Threads are needed for component attachment of fabrication assembly. 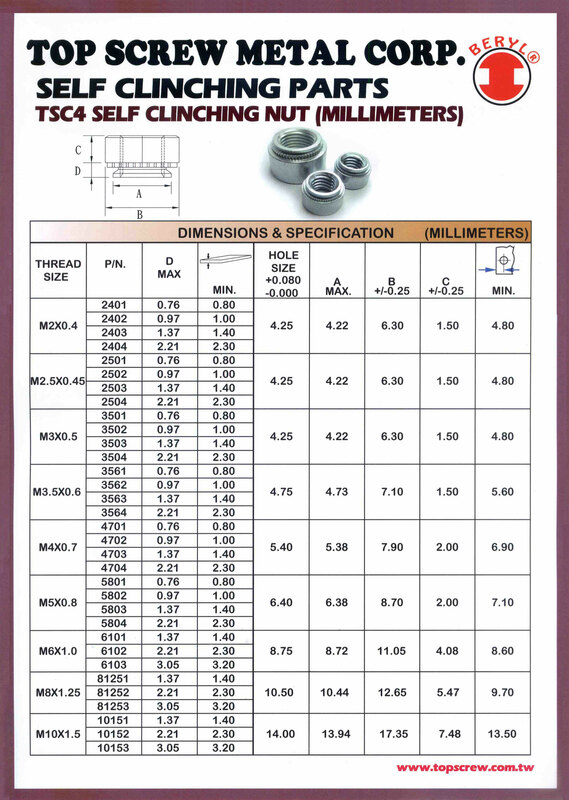 ★ Other sizef material are available upon request.